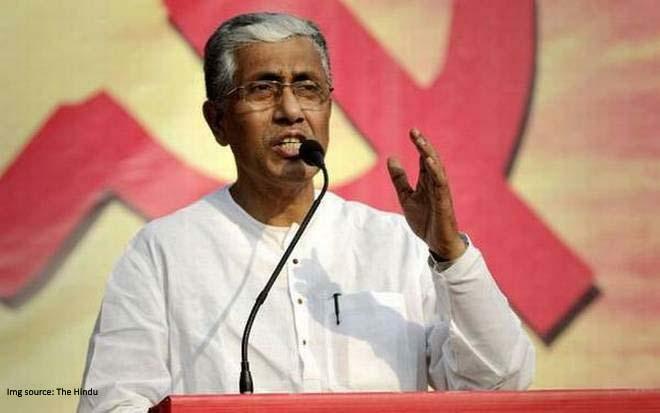 Manik Sarkar, regarded as the ''poorest chief minister'' of the country and the man who helmed the Leftist bastion of Tripura for 20 years, failed to steer the Left Front (LF) to election victory on Saturday. The LF's drubbing by a resurgent BJP, which captured power in the north-eastern state for the first time, nixed the Left Front's efforts to form the government for a record sixth consecutive time in the state. Sarkar, a CPI(M) politburo member, won from his Dhanpur seat, defeating his nearest rival, Pratima Bhowmick of the BJP. His party, however, bagged only 16 of the 59 seats, where polling was held on February 18. The BJP, which had no member in the Tripura Assembly, won 35 seats this time. The Indigenous People's Front of Tripura (IPFT), a tribal party, won eight of the nine seats it had contested. Sarkar, a low-profile politician, had guarded the Left fortress in his state even when the Leftists were on the wane in the rest of the country. Had the Left Front won this time, it would have been the 69-year-old CPI(M) leader's fifth consecutive term at the helm in Tripura. He fell to the storm kicked up by a resurgent BJP. Enthused by its poll victory in Assam, the saffron party had used "change" and "development" as its plank in Tripura. In Sarkar's own admission, the prime challenger to the 25-year-old LF government was not its traditional rival, the Congress, but the BJP. Regarded as the "poorest chief minister of the country", Sarkar is known for his simple lifestyle. He donates his entire salary to his party and takes only Rs 5,000 per month as subsistence allowance. According to the affidavit submitted by him at the time of filing nomination to the Election Commission (EC) this year, the veteran leader had Rs 3,930 -- Rs 1,520 in hand and Rs 2,410 in his account in a nationalised bank. He does not have any other bank deposit, homestead or cultivable land. He possesses an inherited land, measuring 0.0118 acres, in Krishnanagar, on the outskirts of Agartala, jointly with his sister. He does not have a personal car, investments or assets and is not active on the social media. Sarkar is credited to have ended the insurgency problem in Tripura and revoked the Armed Forces Special Powers Act (AFSPA) in 2015 on the ground that terrorism had waned in the state. The act was in force in Tripura since 1997. Sarkar rose from humble beginnings. Born on January 22, 1949 in a middle-class family in Udaipur in the state, he became a student leader in Maharaja Bir Bikram College when he was just 19. His initial political exposure and experience had led him to be appointed as the Students Federation of India (SFI) general secretary of the college the same year. He had actively participated in the 1967 Food Movement by campaigning against the policies of the then Congress government in Tripura. In 1972, at the age of 23, Sarkar had joined the CPI(M) state committee. He was inducted into the party's state secretariat six years later, when the CPI(M) got the chance to govern Tripura for the first time. In 1980, he was elected as a member of the Tripura Assembly, where he represented the Agartala constituency and became the chief whip of the party. In 1983, Sarkar won the election again from Krishnanagar in Agartala and became the CPI(M) state secretary when the party rose to power again in 1993. In 1998, Sarkar was inducted into the CPI(M) politburo, the policy-making and executive body in a communist party. The same year, he was appointed the chief minister of Tripura for the first time after Dasarath Deb refused to contest elections anymore on health grounds.